Between 1963 and 1975, residents of Washington, DC cast votes for President and elected a city council and mayor for the first time. Washington became the largest majority African American city in the country. Highways and suburbanization reconfigured the city and its neighborhoods. New public housing accompanied the nation’s largest urban renewal project of its kind. The effort to build a modernist vision of the city displaced thousands of residents. New trends in music, theatre, art, and dance emerged. 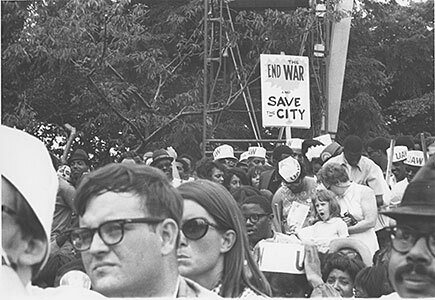 Against a national backdrop of President Lyndon Johnson’s “Great Society,” Vietnam War protests, Civil Rights and Black Power movements, feminism/womanism, and gay rights, this exhibition focuses on events, people, and challenges that changed the city of Washington, DC over twelve, tumultuous years.